Coverage: Watch live on BBC One, BBC One HD, online, tablets, mobiles and BBC Sport app from 1400 GMT; listen on BBC Radio 5 Live; text commentary on BBC Sport website. Dan Lydiate missed training with an ankle problem on the eve of his first Test as captain of Wales. The Ospreys flanker sat out the "captain's run" at the Principality Stadium 24 hours before Wales face Italy in their final Six Nations match. "He's got a little bit of an ankle irritation so we left him back in the hotel," said Wales forwards coach Robin McBryde. 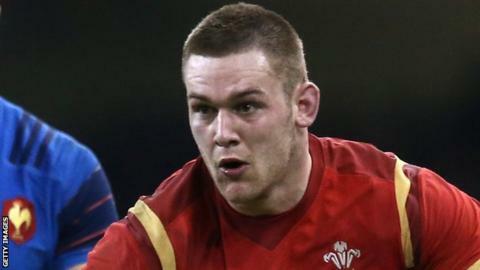 Lydiate will lead Wales in place of the injured Sam Warburton. Wales will finish second behind England if they beat Italy under the closed roof in Cardiff. Lydiate previously captained Wales in a midweek match against EP Kings in South Africa in 2014, and led the British and Irish Lions against the Melbourne Rebels in 2013. But this will be his first captaincy in a Test match. McBryde said the injury was "nothing major" and that he expects Lydiate to lead the team out on Saturday. After admitting the 25-21 defeat by England in Twickenham "took the wind out of our sails", McBryde said the team had to knuckle down and "put things right". "There's a lot on the game in regards to our personal pride and responding to the disappointment of last week," he said. "This is about getting the spring back in our step because there's only 70 days before we face England again ahead of a tough tour down to New Zealand. "It's going to be a tough opening 20 or 30 minutes and it's something that we've got to get right. "We haven't got the first half performance right during this Six Nations, really. "We've always found ourselves behind at half time - bar for once - so it's important to start well and hopefully kick on in the second half." After the Six Nations, Wales face England in Twickenham on 29 May before embarking on a three-Test tour of New Zealand in June.